Ultrabooks are attracting admirers at the Consumer Electronics Show, but some attendees are waiting to buy the thin laptops until prices drop and Windows 8 is released later this year. Intel is showing off the first wave of ultrabooks at CES in Las Vegas, and PC makers are backing the new class of thin-and-light laptops with product announcements. Intel has promised a second wave of ultrabooks, which could come out by the middle of the year with lower prices, Microsoft's Windows 8 and the next generation of Core processors, code-named Ivy Bridge. With prices starting at about US$800, the current crop of ultrabooks have been deemed by some attendees as too expensive. Intel's aim is to bring that down to $699 by the end of the year, which gives buyers all the more reason to wait. Potential buyers also scoffed at the Windows 7 OS, saying they would wait for the release of the Windows 8 OS to take advantage of tablet-like features on ultrabooks. Intel is laying out a new course for laptops with ultrabooks, a class of thin laptops designed for always-on connectivity, long battery life and quick start times. Intel has said more than 75 ultrabooks are in the pipeline for 2012, and new hybrid designs with tablet features could be released starting later this year. Features in the second wave of ultrabooks promised by Intel include faster performance with Ivy Bridge processors, touchscreens, and voice recognition, much like Apple's Siri in the iPhone 4S. With price drops and so many improvements on tap, it is common sense for users to wait, said Jack Gold [CQ], principal analyst at J. Gold Associates, who attended CES. "If you can wait, in the second half of 2012 you'll probably get more functionality for less cost," Gold said. There may be price erosion toward the end of the year as more ultrabooks come to market and compete with mainstream notebooks and higher-end tablets, Gold said. Beyond price, the pending release of Microsoft's Windows 8 OS is a reason to wait, said Daniel Stuetz [CQ], a systems administrator at Brigham Young University, who was exploring the show floor. 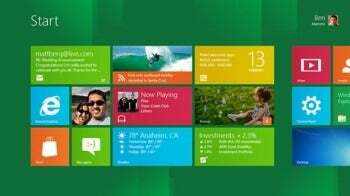 A Windows 8 ultrabook with a touchscreen will provide both PC and tablet functionality, which might reduce the need to buy a tablet, Stuetz said. "Intel designed ultrabooks with Windows 8 in mind," Stuetz said. David Kanter, [cq] an industry analyst at Real World Technologies, passed on the current ultrabooks as he sees longer battery life and significant performance improvements coming in the next wave of ultrabooks in just a few months. The current crop of Sandy Bridge processors in ultrabooks isn't bad, but the next wave of ultrabooks with Ivy Bridge will provide more bang for the buck with significant graphics and application performance improvements. "I think the first generation of ultrabooks is really Ivy Bridge, where you'll see the first interesting changes," Kanter said. Acer, which showed the upcoming Aspire S5 ultrabook with an Ivy Bridge microprocessor at CES, said the chip demonstrated more than a 20 percent CPU performance improvement and a 30 percent graphics improvement over Sandy Bridge processors. There are also those who can't afford to wait for the second wave of ultrabooks simply out of need. Charles King [CQ], principal analyst at Pund-IT, said he would consider buying an ultrabook soon because the features meet his needs. "I travel a lot, so I value compact and light technologies, but unfortunately, that combination usually comes at a price," King said. Technology is continuously improving, and sometimes it doesn't make sense to hang on to make a purchase, he said. If users need ultrabooks, they should just buy them, he said. He doubts ultrabook prices will plummet later this year, especially if the devices come with added features such as touchscreens. But for those who can wait, King said the next generation of ultrabooks with Ivy Bridge chips will offer compelling performance and a touchscreen interface based on Windows 8. "Those are both good reasons to wait, particularly since those new systems will probably start appearing in time for this year's back-to-school sales," King said.